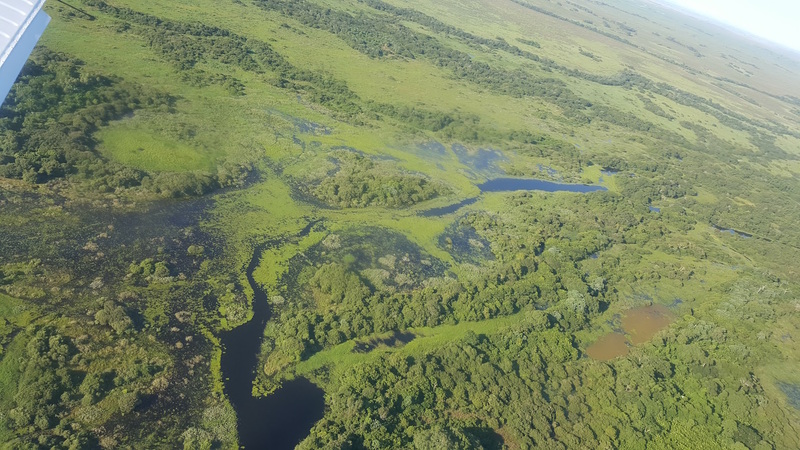 Our next post from the field comes from Luciana Gatti and Manuel Gloor, who have been measuring how much methane is found over the Pantanal region of Brazil. This is a huge area of wetlands, and is therefore also a huge source of methane. 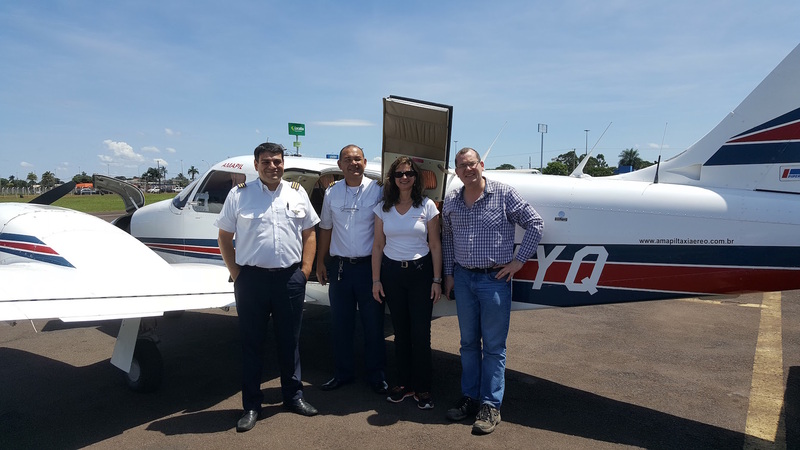 We, Luciana Gatti and Manuel Gloor, have just returned from the Pantanal area where we have started sampling of the vertical air column (0 to 4.5 km height above sea level) using light aircraft (see the first photo) for subsequent analysis for CH4 at Luciana’s laboratory. The Pantanal is one of the largest wetlands worldwide with an areal extent on the order of 150,000 km². It is a flat area which drains very slowly via a complicated system of ponds feeding each other as well as some slowly moving rivers. The region is seasonally flooded and has seen major precipitation maxima in recent years but also sometimes drier phases. It is a potential candidate region for a climate change methane emissions feedback. 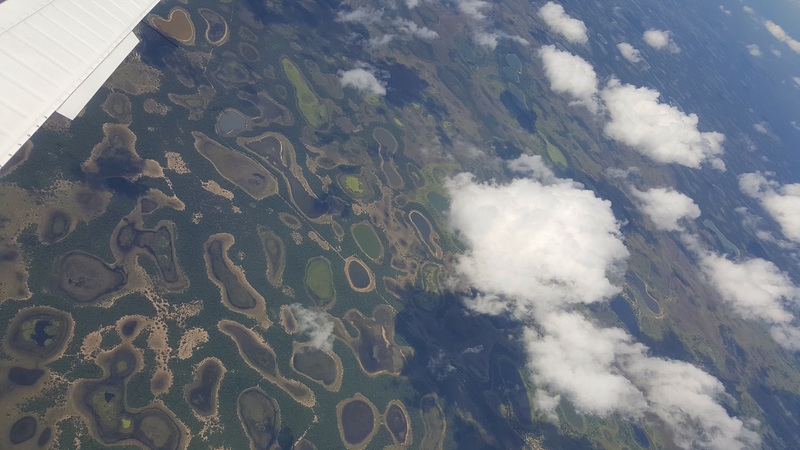 The mosaic of circular ponds can be very clearly seen from the aircraft (photo 2) as well as occasionally flowing water areas (photo 3). If one looks really, really carefully one may even spot a hungry caiman or two. The vertical air profile has already been analyzed for greenhouse gases and reveals a major methane source which reveals itself as a large concentration enhancement within the lowermost 2 km above ground.